How much is Jonas Eriksson Worth? Jonas Eriksson net worth and salary: Jonas Eriksson is a Swedish football referee, businessman, and former journalist who has a net worth of $13 million dollars. Jonas Eriksson was born in Lulea, Sweden, and currently lives in Sigtuna. He became a professional referee in the mid-90s, and has been a referee for the Swedish professional league, Allsvenskan, since 2000. As a referee for the Allsvenskan league, he has officiated 263 matches. He has also refereed 47 matches for the Superettan league, Sweden's secondary football league. 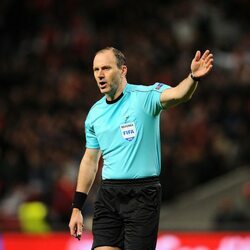 Jonas is also one of a very few highly qualified FIFA referees who is eligible for major international events. As an international referee, he has refereed 112 games. He was chosen to referee for the 2013 UEFA Super Cup match between Bayern Munich and Chelsea. He was also chosen to referee for the 2014 World Cup where he officiated several very important matches, including the USA vs Ghana in the first round. Prior to working as a referee, he worked for a major Swedish sports media group. In 2007, he sold his shares in the company for approximately $10.8 million, making him a secret multi-millionaire FIFA referee. He now referees for purely for the love of the game. 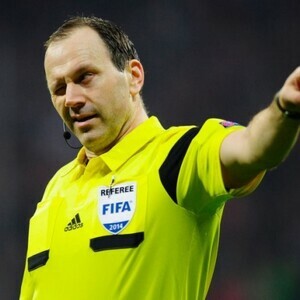 Jonas is considered to be one of the more reliable referees as he can't be bought or coerced into bad calls.